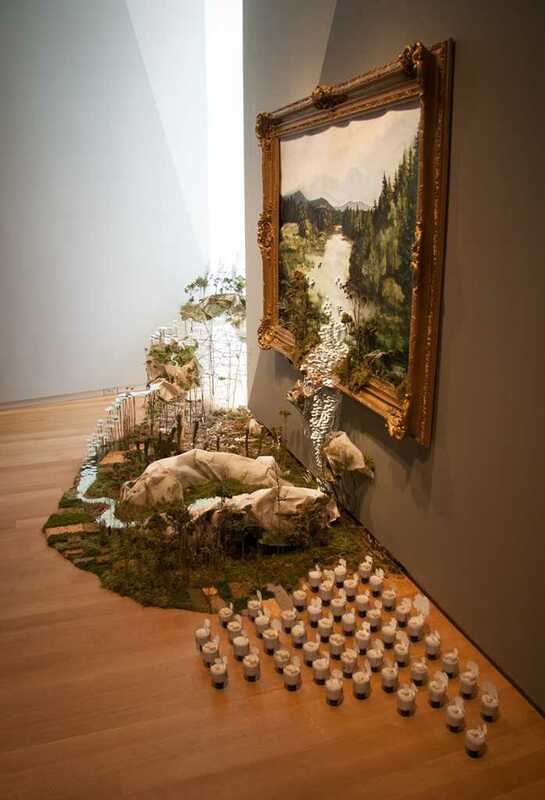 An installation at the museum of arts and design for otherworldly. 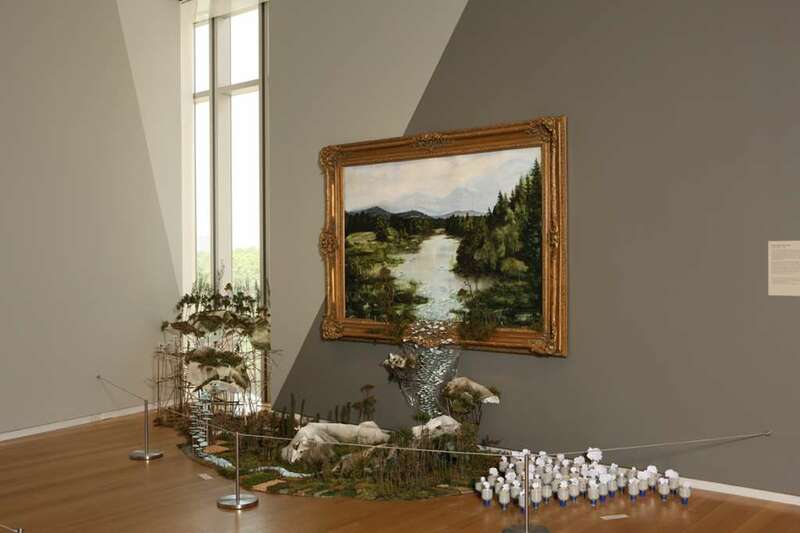 i painted a large traditional landscape that flows onto the floor and toward a fifth-floor window overlooking central park. 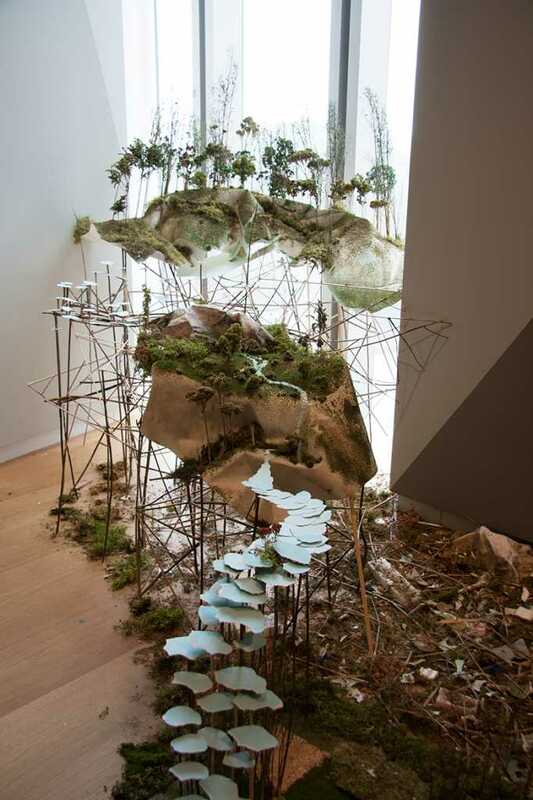 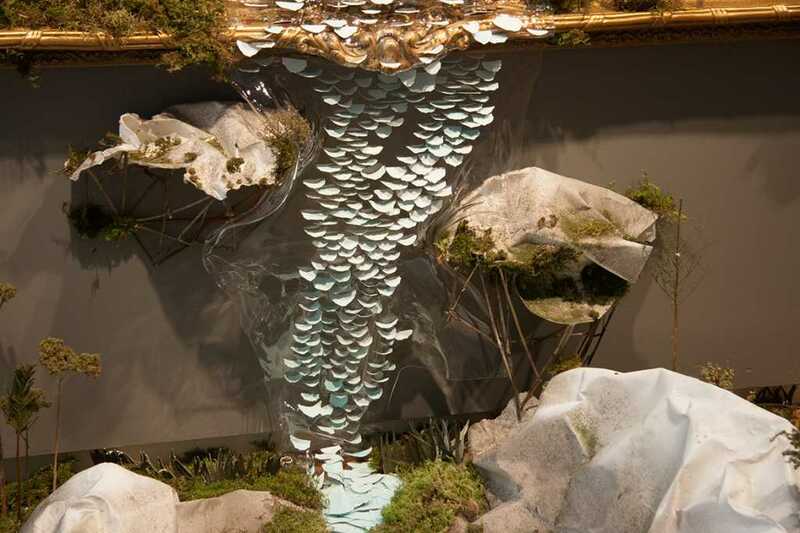 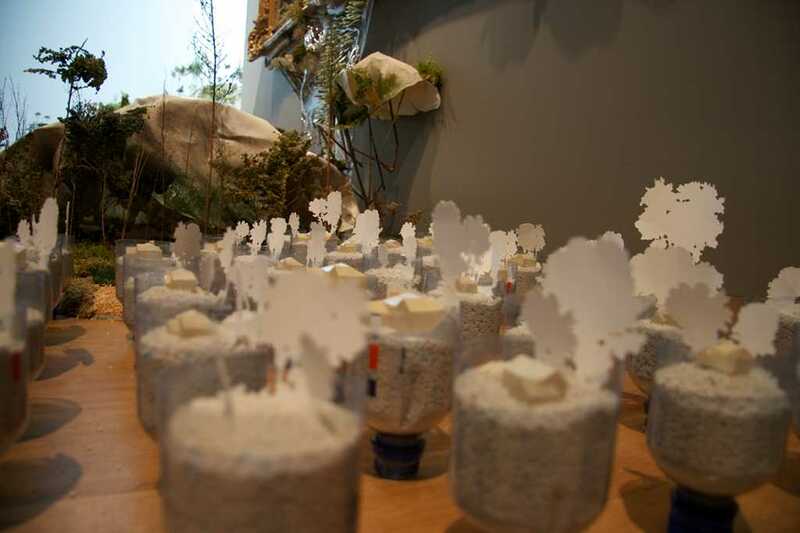 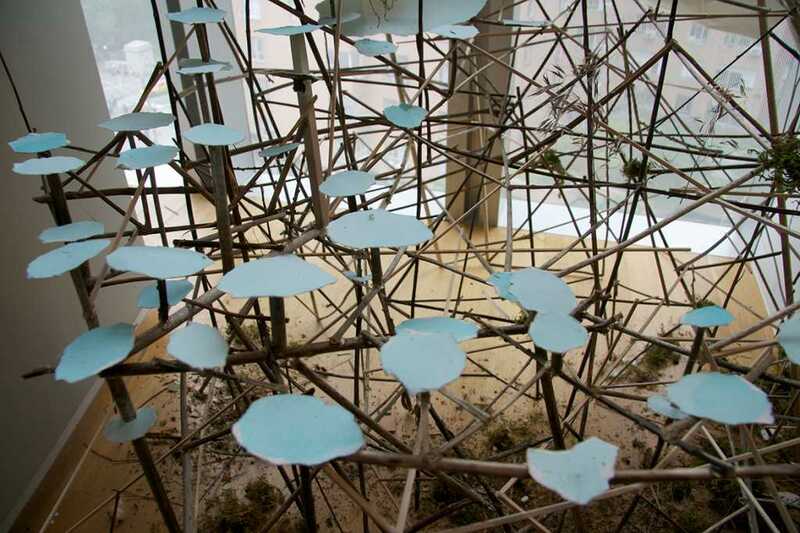 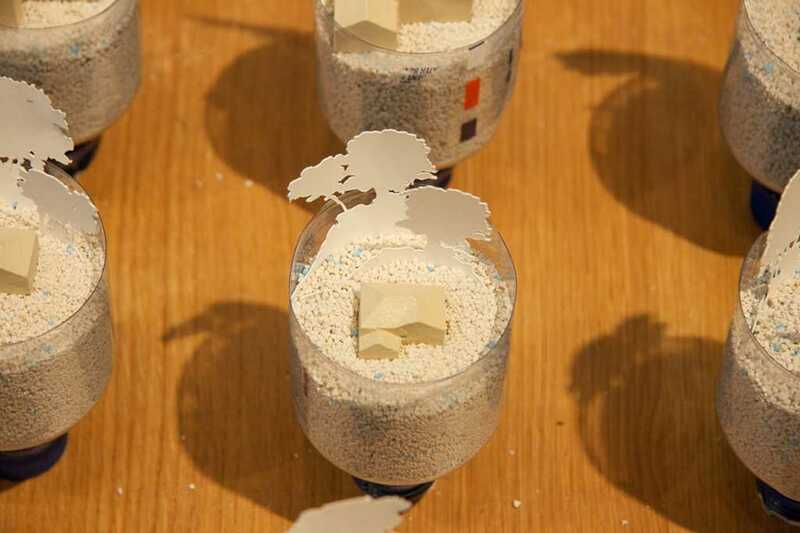 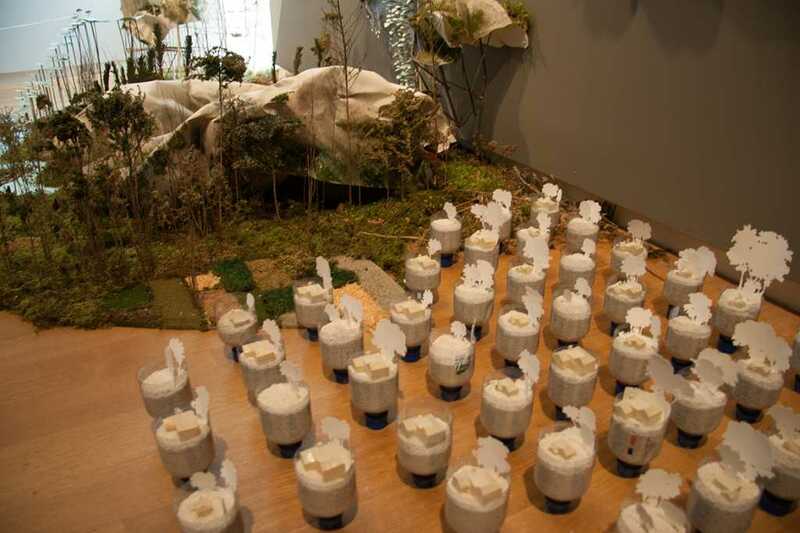 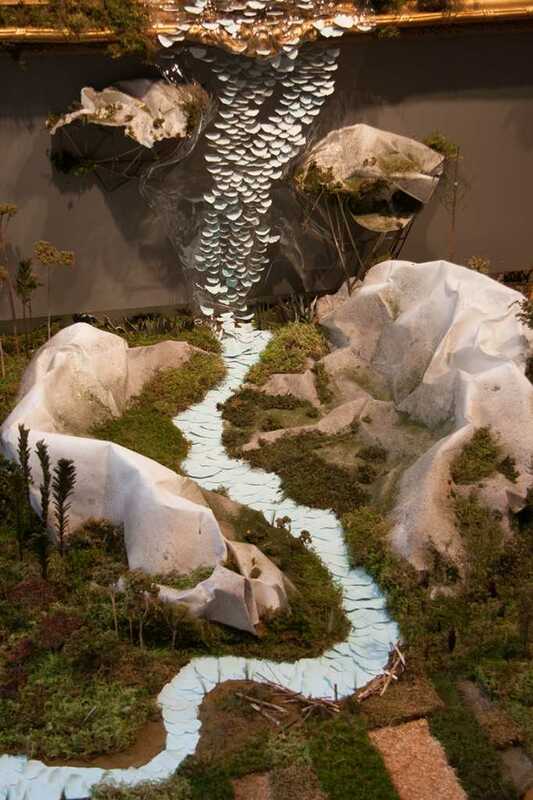 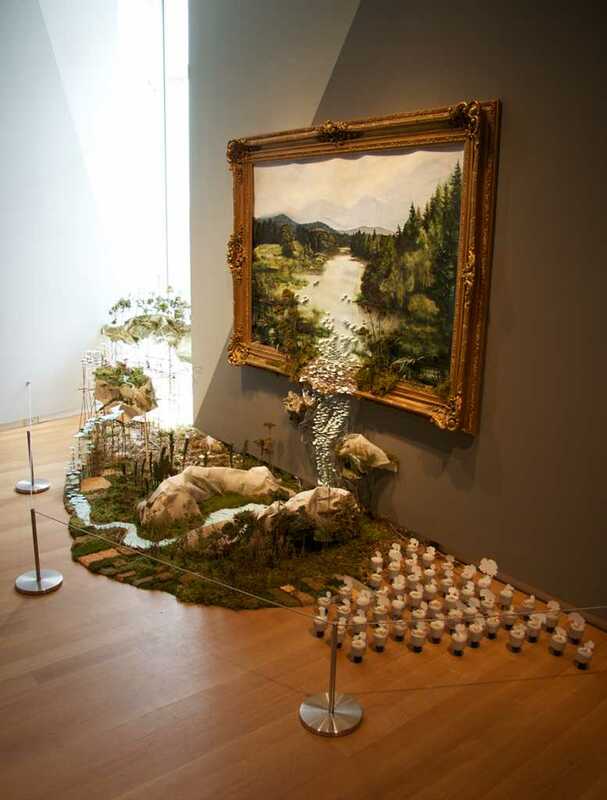 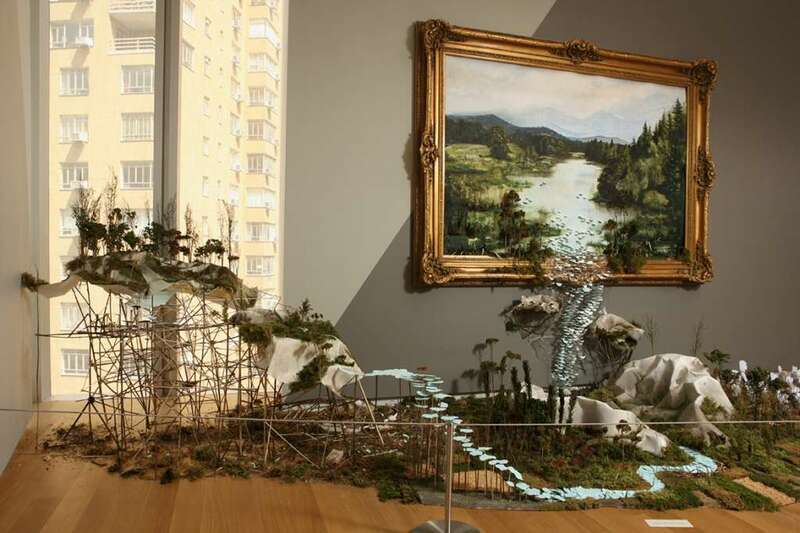 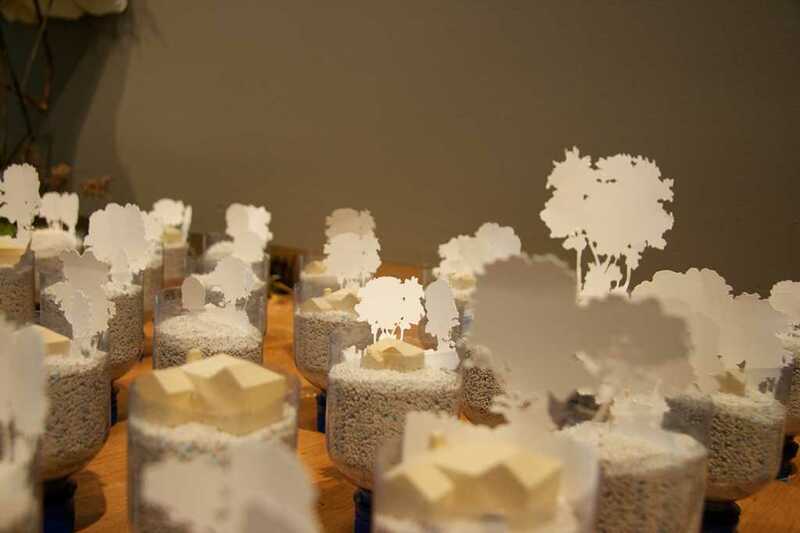 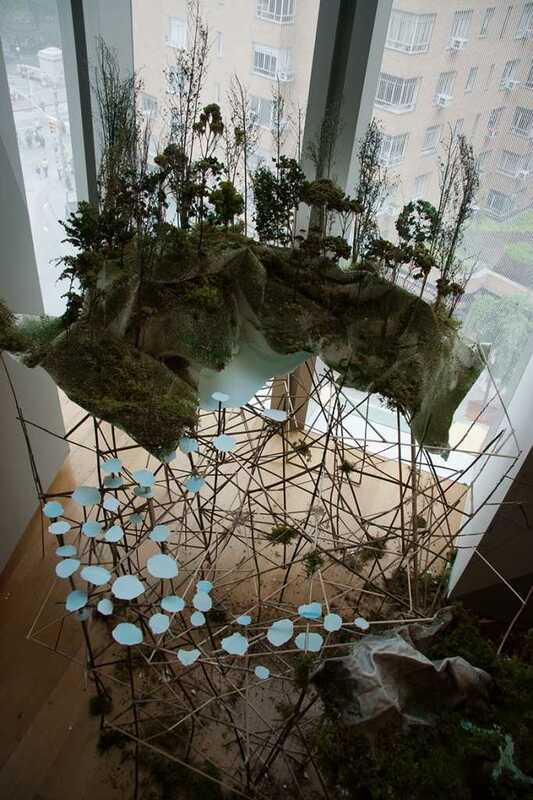 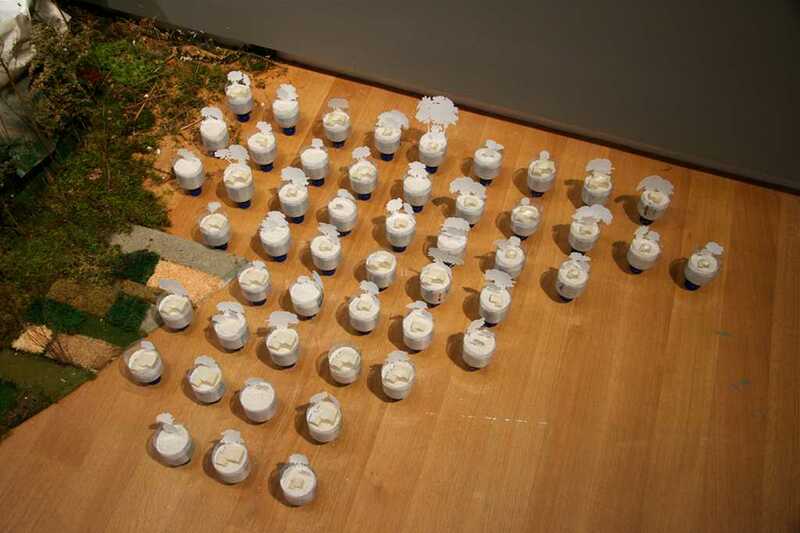 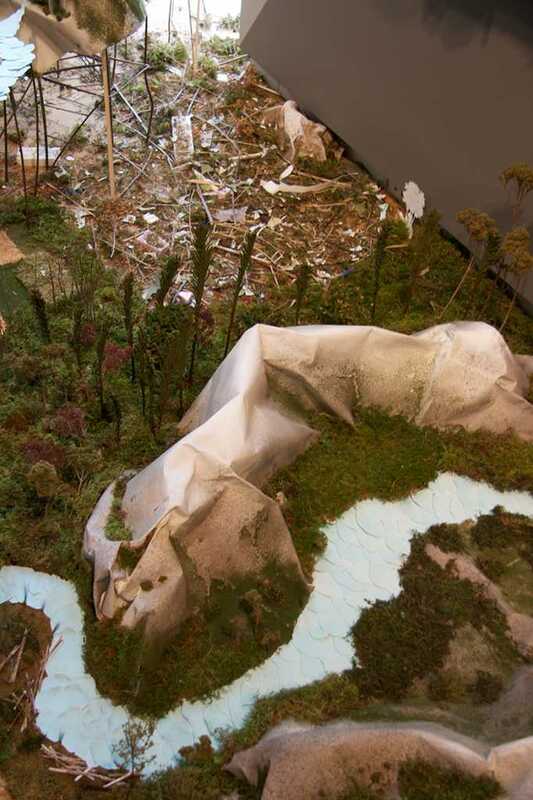 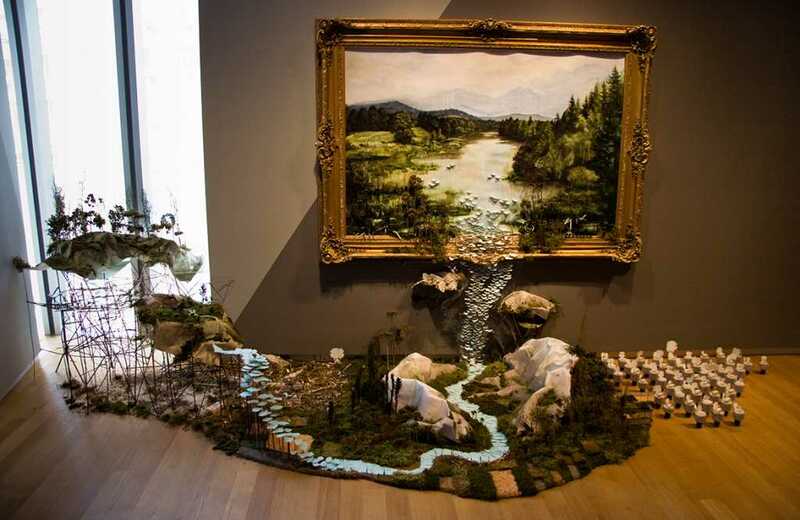 the work consists of several dioramas that are built from materials that were collected on walks as well as several paper casts from boulders in central park.